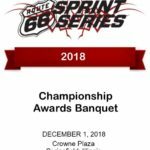 Based on popular demand, Route 66 Sprint Series Officials have opted to add the Comer Kidkart Class into the program for the NCMP event. As of right now, this is a one time deal, but if the demand is there, Officials will consider making it a championship class for the remainder of the season. 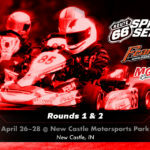 While Route 66 still believes that the IAME Bambino is the future of kidkart racing, it has not been without its growing pains, and the Series recognizes that there is still a high demand for the Comer class. The Comer class was a big part of Route 66 for many years, with some of the strongest fields around. The Bambino and Comer classes will run together the same time slot, but in separate groups and scored separately. 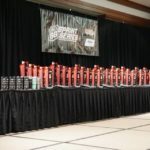 The will each have full weekend awards. The Comer will utilize the same rule set that it ran in Route 66 with in 2017. Weekend pre registration for the Comer Kid Kart class is now open online.